Friends can sometimes disappoint, but runny eggs won't. My mother used to tell me that friends come and go, but true friends stay forever. Over the past 10 years, I’ve been losing friends more often than I lose my earrings. Some because we’ve grown apart and some because we’ve stepped on each other’s tail. But enough emo talk for now. 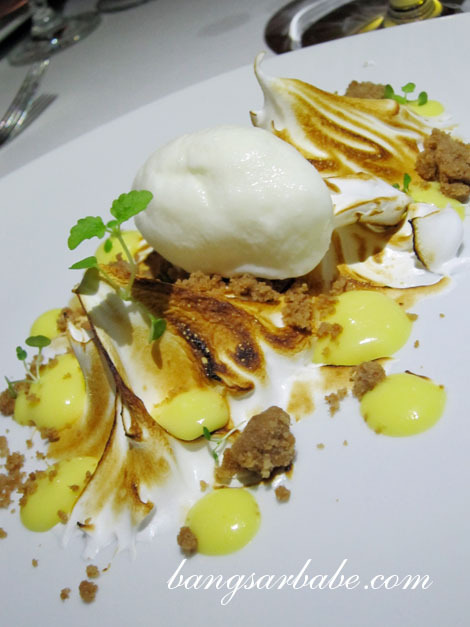 Les Amis, which stands for “friends” in French, is the flagship French restaurant of the Les Amis Group in Singapore. rif and I were treated to an exclusive 6-course dinner at Mandarin Grill recently, where Galvin Lim (Group Executive Chef of the Les Amis Group of Restaurant) dished out a degustation of finest ingredients, flavours and textures. To start, we tucked into an amuse bouche of Scottish razor clams on a bed of squid ink salt. The clams were lightly chewy and tasted like the sea. I was told that the chef chose the Scottish variety over the pacific ones due to its sweeter flavour and firmer texture. 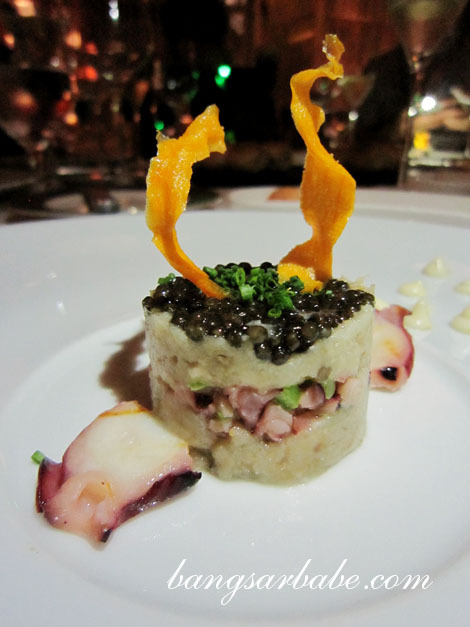 Eggplant caviar with Spanish octopus and fennel pollen aioli comprised eggplant puree with a layer of minced octopus and with a decadent layer of caviar topping. The brininess of the caviar enlivened the smoky-sweet flavour of the eggplant, which I rather enjoyed. 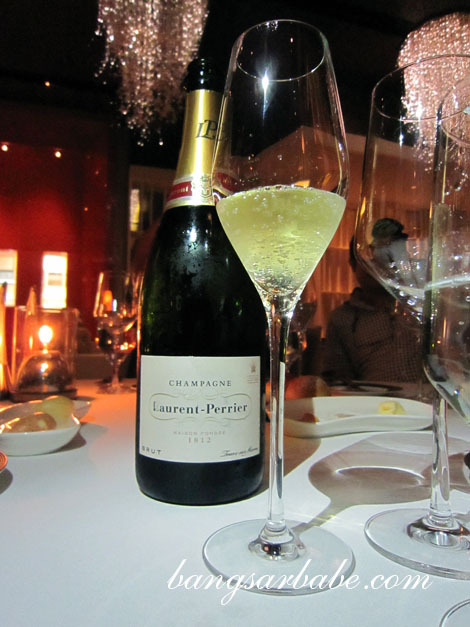 A glass of Laurent Perrier Cuvee Bruit NV was paired with this. 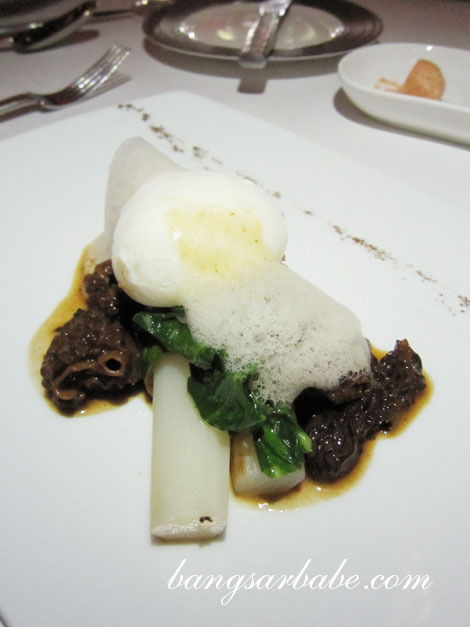 Our second course – ciabatta wrapped in crispy white asparagus with confit egg and morel mushrooms – tasted as delicious as it looked. This was a lovely composition of flavours and textures. The asparagus (sourced from south of France) was cooked to perfect tenderness and complemented by the runny yolk and earthy mushrooms. 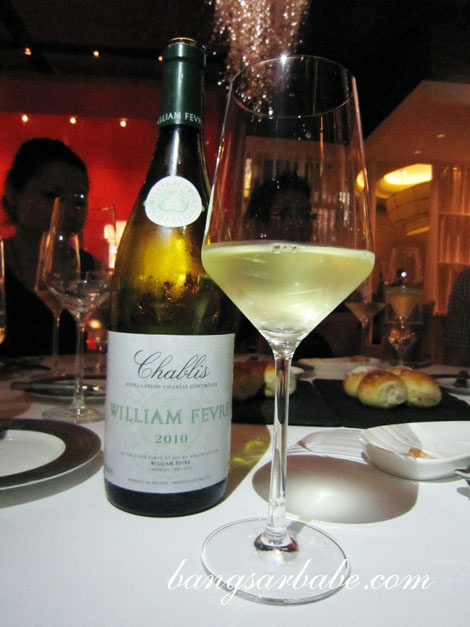 The crisp and floral notes of William Fevre Chablis 2012 accompanied this nicely. 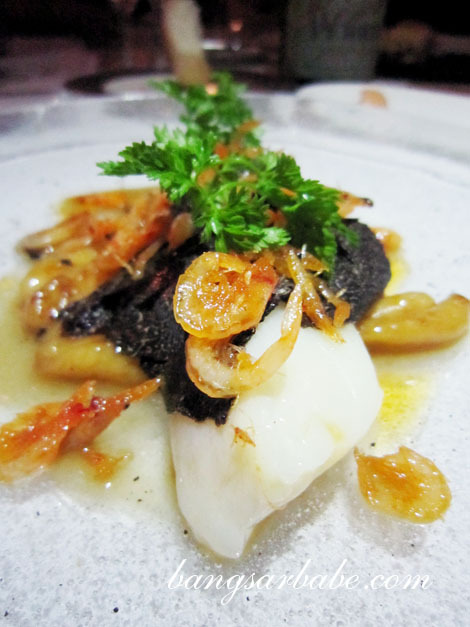 Many on my table enjoyed the slow cooked Danish halibut “sous vide style” with Australian black winter truffles, potato gnocchi and sakura ebi. I appreciated the sweetness and overall smooth texture of the halibut and how the generous shavings of truffles gave it flavour. That said, the sakura ebi tasted rather similar to our local dried shrimp and I found it odd. 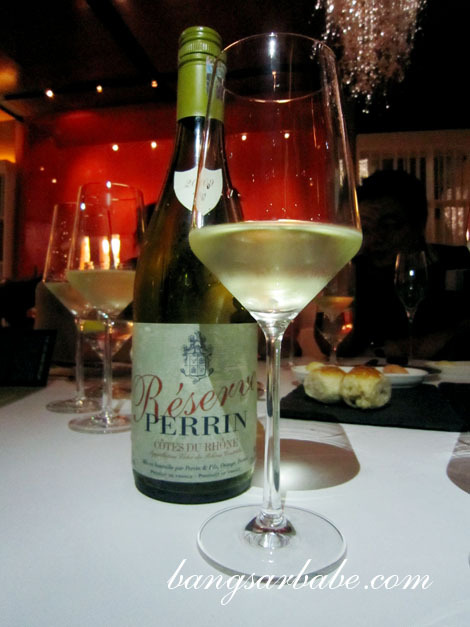 Perrin Reserve Cotes du Rhone Blanc 2009 had an elegant nose, but I didn’t fancy the mouth feel of this wine. The others seemed to enjoy it much more. 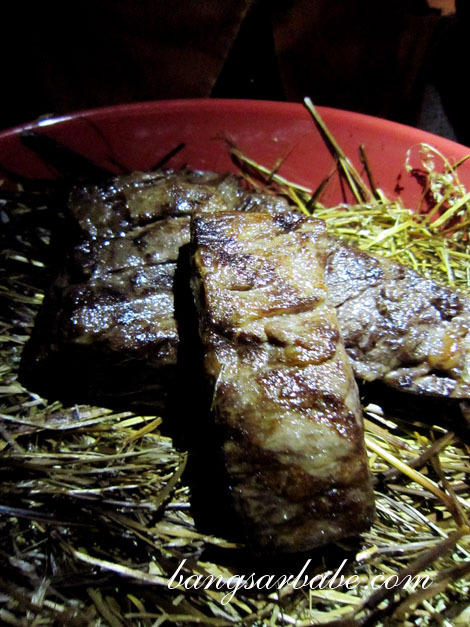 I’ve been lusting after the char grilled wagyu rib eye cooked in hay when I read the menu prior to dinner. We were given two cuts of meat – rib eye and the cap of the rib eye, also known as the spinalis dorsi. 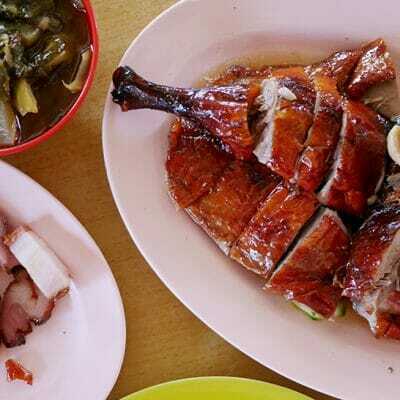 The latter is heavily marbled, as tender as a fillet mignon and boasts all the flavour of a rib eye. Such a treat! Good thing I ate the rib eye first, as this wouldn’t taste as good if I ate the cap before this. 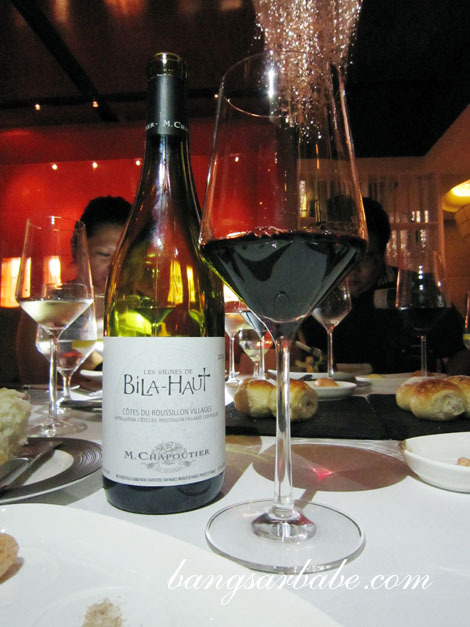 The accompanying wine M. Chapoutier Bila Haut, Cotes du Roussillon 2009 was plumy and deeply concentrated with a lively finish. 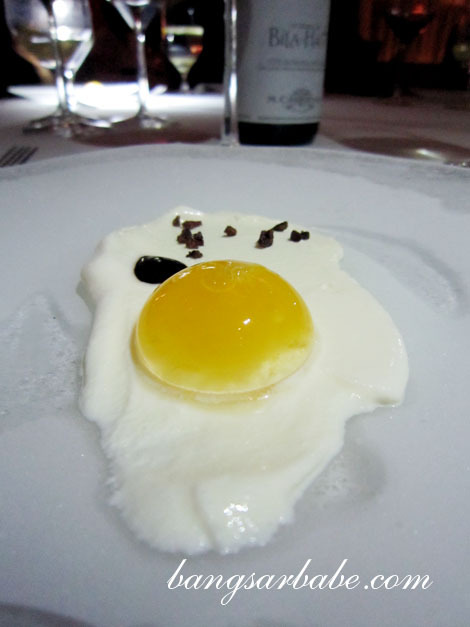 Dessert was a “sunny side up” and a fancy lemon tart with thyme ice cream. The former looked like a fried egg, but tasted anything but. 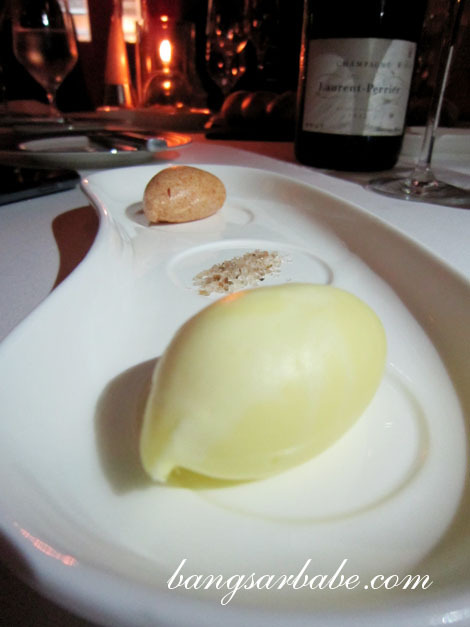 The ‘egg white’ comprised milk ice cream with chilli, while the ‘yolk’ was a pineapple sphere. 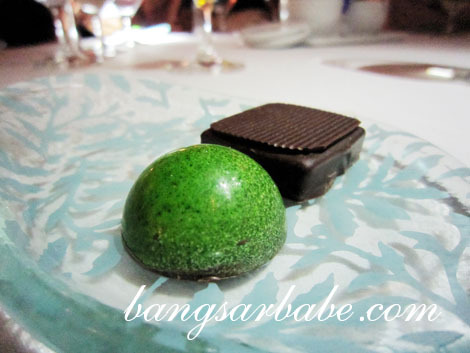 Petit fours comprised a gula melaka chocolate and royal dark chocolate, both tasty in their own right. Thank you Mandarin Oriental, for extending the invite to both rif and I. It was truly an eye opening and tummy warming experience. 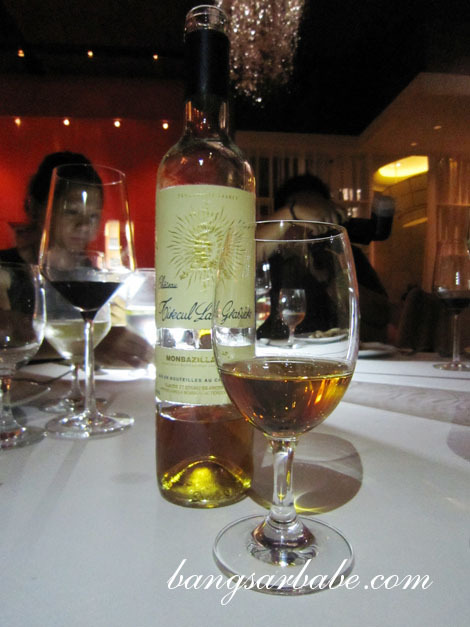 The 6-course wine dinner cost RM448++ per person. Verdict: Dinner was a beautiful composition of the freshest and finest ingredients. Hahaha…so drama la you! 😛 But ya…presentation was beautiful. 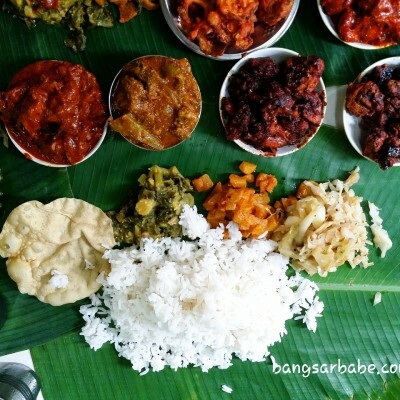 Too pretty to eat…some of the dishes! is that bubles besides the eggs? Y? 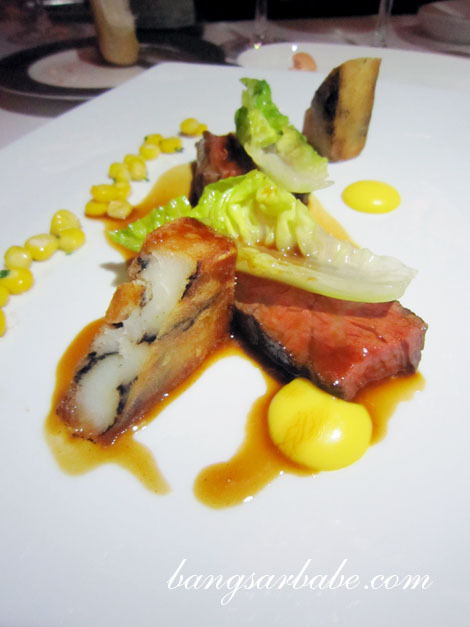 I liked all the food that Chef Galvin and his team prepared. very nice being able to be taught how to do 3 of the courses too!